Our dearest Selena Gomez is back in her social media breaking her social media silence after four months wishing her fans goodwill and happiness with this new year even though its already late. "Good with you" hit maker Selena Gomez, 26 has returned to Social Media after months of break from social media explaining her current situation wishing her fans happy new year even though its late making her fans joy with happiness. 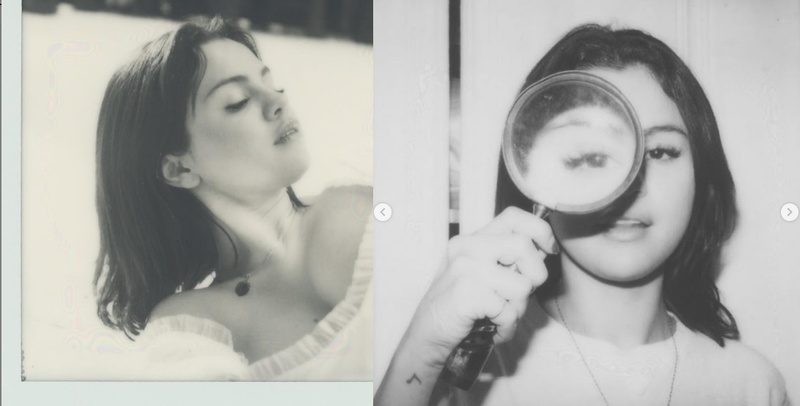 Selena posted three pictures in her return back post with a lengthy caption which states, "It’s been awhile since you have heard from me, but I wanted to wish everyone a happy new year and to thank you for your love and support. Last year was definitely a year of self-reflection, challenges and growth. It’s always those challenges which show you who you are and what you are capable of overcoming. Trust me, it’s not easy, but I am proud of the person I am becoming and look forward to the year ahead. Love you all." Selena's post really shows how she cares for her fans coming back in her social media and how she has overcome her struggles last year and keep on struggling to create a better peaceful life. As most of her life struggles has been transparent in the public eyes, she isn't afraid to show how every one has to struggle to overcome their problems and always encouraged fans to be strong. Selena decided to take social media break and informed fans in September 2018. After four months of rehab visit, she was back in paparazzi's eyes just few weeks back and now she is finally back. Fans are happy she is back in Social Media. Selena had quiet a hard year last year as she had been struggling with Lupus with even need for kidney transplant and her emotional ride with personal life from on and off relationship with ex Justin Bieber who is currently engaged to Hailey Baldwin.